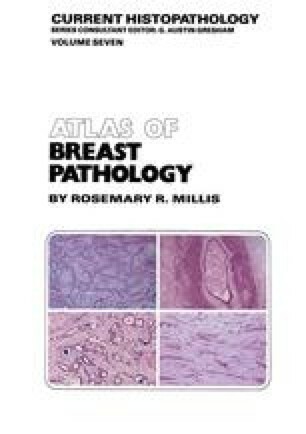 Lipoma is probably the most common benign soft-tissue neoplasm of the breast; its gross and microscopic appearance are similar to those of lipomas occurring elsewhere in the body. Occasionally, glandular elements are incorporated within the substance of the tumour, and the term ‘adenolipoma’ has been applied to such a lesion. Another variant is angiolipoma which microscopically features a rich plexus of capillary blood vessels interspersed between the lipocytes (Figure 20.1).